Since 1936, The Tides, nestled on prime Ocean Drive real estate and across from Lummus Park, has been one of the defining Art Deco resorts on South Beach. This year that distinctive style will get a new burst of contemporary flair and rejuvenated style. 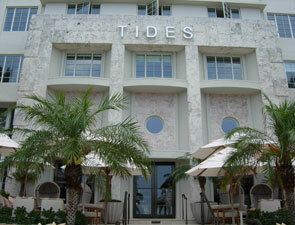 The Tides South Beach, the flagship resort of the Kor Hotel group, has gone through a complete renovation. The former 1220 restaurant is no more, and has been replaced with the elegant, Mediterranean-inspired, La Marea (which opened in May 2007). 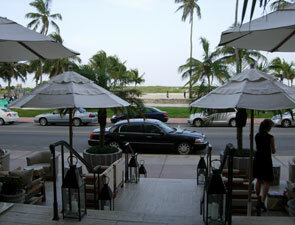 At the helm of La Marea's gourmet kitchen is Executive Chef Pietro Rota, of Hollywood's famed restaurant Il Sole. At 1200 square feet, the recently unveiled creation brings Mediterranean inspiration. La Marea offers indoor dining amid faux tortoise shells, banana trees, and bleached coffee wood branches, and outdoor dining with views of Ocean Drive and the Atlantic. Named after the Italian and Spanish term for the "ebb and flow of the tide," La Marea is an exceptional, elegant restaurant inside in equally enticing beachside resort. Dress Code: The stated dress code is casual. This is a fine dining restaurant, therefore shorts or flip flops are not appropriate, but we are told nice jeans are acceptable.